Bring Music Back to School! Building Beats is a nonprofit organization that teaches music production and DJ’ing to underserved youth in New York City. By teaching music skills that are directly related to various life skills, we empower students to become effective and creative producers who can benefit their community in whatever passion they choose to pursue. 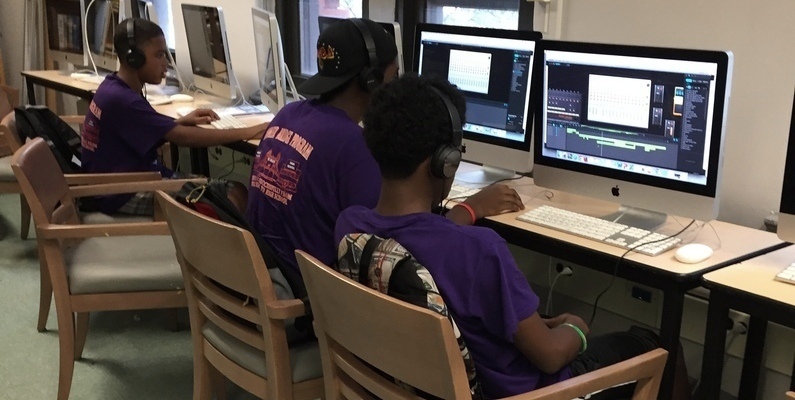 We seek to remedy a lack of access to music education in New York City’s toughest neighborhoods by providing workshops in music production and DJ skills to after-school programs and community centers all over the city. During the last school year alone, we held over 1,500 workshops regularly serving over 1,000 at-risk or low-income students. This September, Building Beats is holding a month-long Back-To-School fundraising campaign in preparation for the upcoming school year. Our goal is to raise $15,000 that will not only help us improve this year’s workshops but also aid us in expanding our reach to even more students in New York City. During this campaign, we hope to expand the Building Beats community to include more of NYC’s vibrant music scene, creating a more stable environment to support our growing student population. To that end, we also have a culminating event in store toward the end of September to bring together students, donors, and local music-related individuals alike. What percent of which nights in September would you like to donate to Building Beats? Thank you so much for your contribution. We’ll get back to you shortly with more information! Every time you work with a local artist, you support and contribute to the music scene of New York City. Now we’re asking you to take the next step and invest in the future by donating a portion of your proceeds to our Back-To-School campaign. Fill out the form below if you'd like to participate!